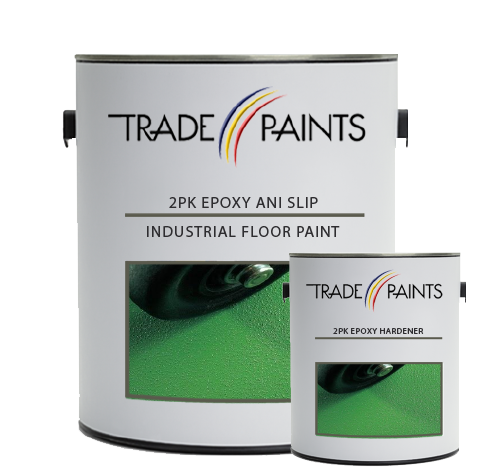 Our 2 Pack Epoxy Industrial Non Slip Floor Paint is a well proven 2-pack chemically curing glossy floor paint for use in high traffic areas. Epoxy Floor Paint is exceptionally easy to apply & maintain. 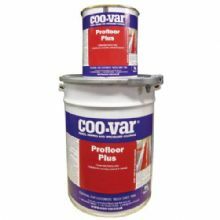 2-pack epoxy coatings provide extremely tough and seamless finishes, with exceptional resistance to most chemicals, solvents and oils. Our epoxy floor coating is ideal for use where regular foot, vehicle and truck traffic is expected, & where there is risk of occasional spillage's of chemicals, solvents, oils & other surface contamination, such as warehouses, factories, workshops, garages & showrooms. 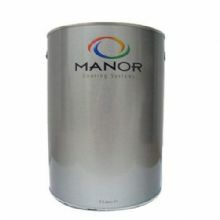 Available as two components which when mixed together make 5 Litres of non slip floor paint. Before application it is important to make sure that all areas are clean, sound, dry and free from surface contamination. All oils and grease should be removed with a suitable degreasing solution. Any laitance on concrete should be removed by blasting, acid etching or other suitable mechanical methods. Hard smooth power-floated concrete floors should be acid etched or mechanically abraded. Care should be taken on previously painted floors to make sure that the original coatings are sound, as the epoxy will 'tighten-up' during curing, exposing areas of the original floor coating which have poor adhesion - mechanically abrading all areas is recommended to reduce this risk.